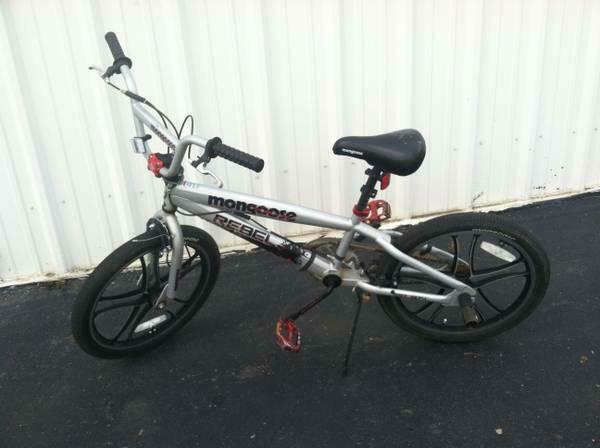 $45, 20 inch grey mongoose rebel Freestyle. 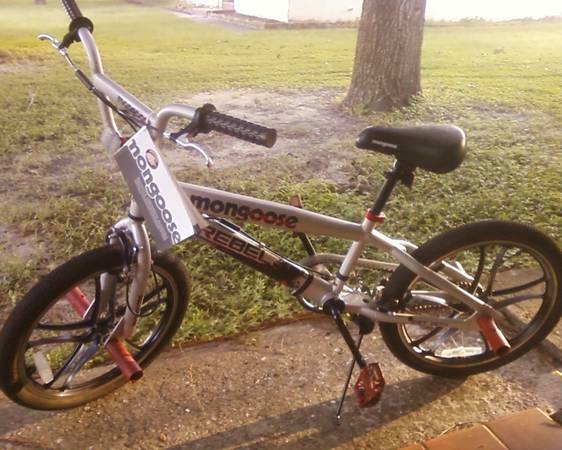 Mongoose Rebel BMX Bicycle - 20"
•	Mongoose Rebel Kids BMX BIke •	Mongoose •	Rebel •	In Great Condition, •	Includes: Hand Brakes, kick stand, front and back wheel pegs. Front and back lights, •	OBO. •	We Guarantee our merchandise.